A new job can be created from the Job List screen. Click on New on the Job List screen. The job creation screen appears. The screen has different tabs. You can browse through the tabs and fill in the necessary information. Use this tab to enter preferred search criteria to filter the search. *Property Address is configurable. To configure this you need to use the Application Configuration Tool. Please speak with your system Administrator. See Address Attribute. The system checks if that property already has any historical data based on the job type selected. Checking is proceeded according to the following rule. 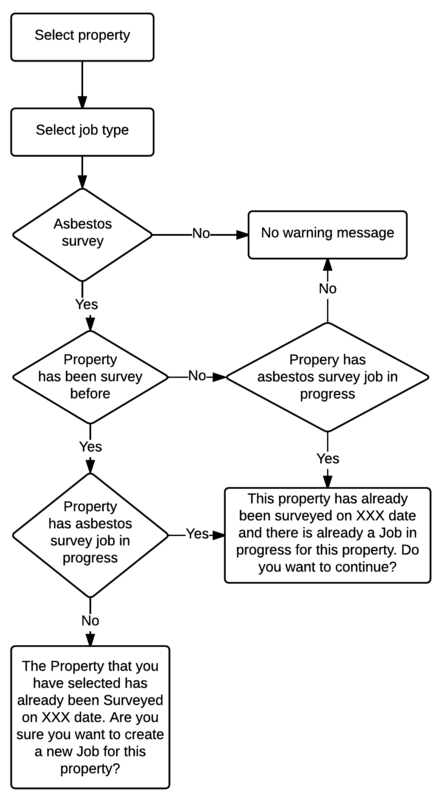 If the system has found any asbestos survey job for the selected property, the following message will appear. If Job Type is Re Inspection, Encapsulation or Removal, the system checks if there is any historical data for the current property. 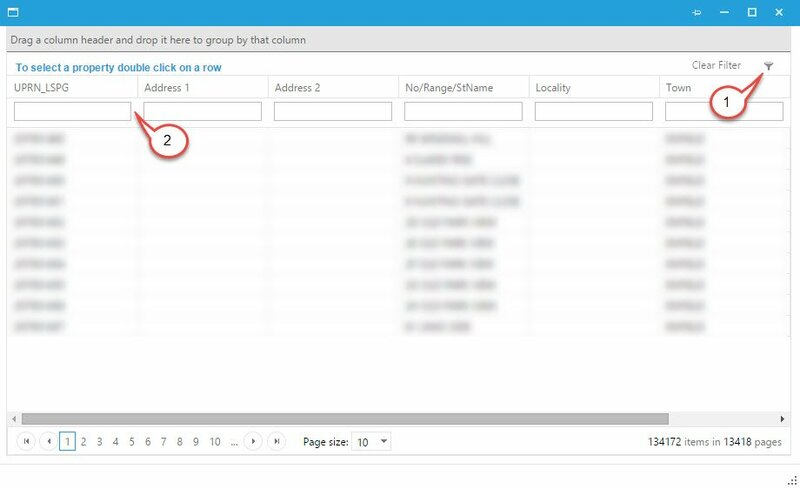 If there is no historical data for the current property found, the system notifies that no historical data was found for the selected property. Select one or more options from the Works Required list. Select if the tenant has any vulnerabilities and if the property is password protected. 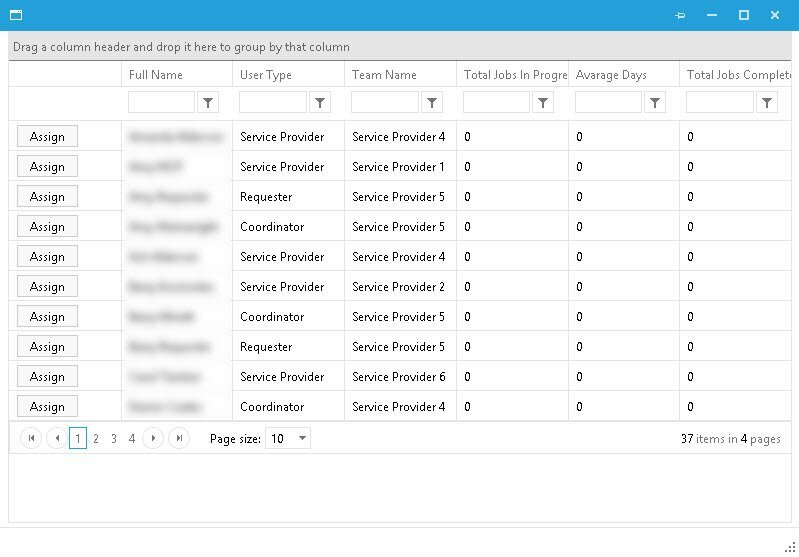 The dates of different phases of the job can be specified on the When screen. Select a job Completion Date. Current date is automatically selected by the system for Date of Creation. Current date is automatically selected by the system for Due Date. Resources involved in carrying out the job can be specified on the Who screen. 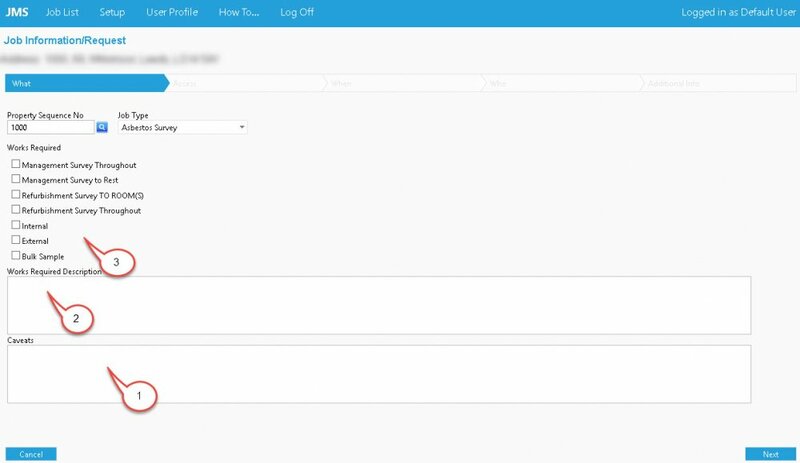 Created by field is automatically selected by the system. Select Asbestos Coordinator (note that a user with a requester role cannot choose an Asbestos Coordinator). Note that one is assigned by default, but you can still select a different one by clicking the select button. This will take you to this screen. If additional information is required to carry out the job these can be added to the Additional Info screen. Add or select as required on the screen. Attach the document (note that you can attach up to three documents). Click on Save to save the Job. If the job information was filled out correctly, the following message appears on the screen. When you create the Job it’s status is set as “Request”. See How to Accept a Job next.